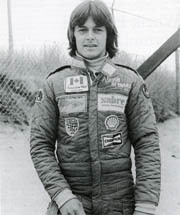 Adrian’s interest in motor vehicles and racing commenced in the 1970’s when he broke five world land records two years in a row, the final year on a Reynard 250cc Motorcycle Projectile. 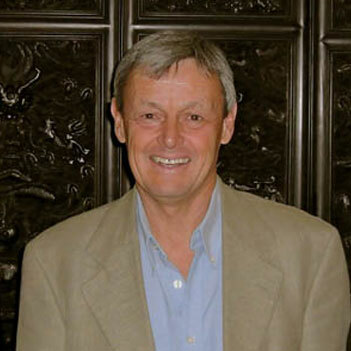 In 1971 he enrolled on a course at the former Oxford Polytechnic (now Oxford Brookes) and graduated the next year with an HND in Mechanical Engineering. That same year he went on to design the first Reynard Car and then built the car in 1973 as part of a student project. Highlights of his career include; in 1977 when he took up a full time position as CEO at Sabre Automotive Ltd which then became Reynard Racing Cars Ltd; winning the 1979 European F2000 Championship driving a Reynard 79SF; collecting two Queens Awards for Export in the 90’s and in 2012 when the First Reynard car was registered on the road in the UK. In 1994 Adrian was awarded an Oxford Brookes Honorary Doctorate in Engineering – this was the first one ever awarded by Brookes. Then in 2000 he was appointed to Visiting Professor in Motor Sports Design and has given occasional lectures to the MA students in the Department of Mechanical Engineering and Mathematical Sciences. As well as advising on the design of the new Wheatley Engineering Centre he has kindly loaned the Auto centre an F3, F1 and an INDY car from his own personal collection of cars. When asked about his time at Brookes he said: "The lecturers were young and interested in my ambitions letting me present a different version of my final year project" - thus the Reynard car was born!